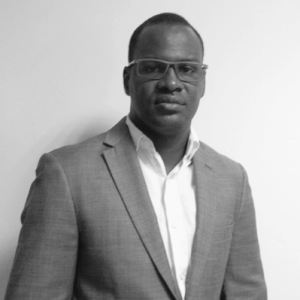 Djibril Niasse is Exeleadmen’s Regional Office Manager. He is the co-founder, with a foreign partner, of an industrial cleaning company, where he held the positions of administrative and commercial manager. Before becoming a member of Exeleadmen, Mr. Niasse worked as a freelance consultant for entities in the informal sectors. He also acquired experience in different sectors such as BICIS (Directorate of Legal Affairs and Litigation), Alliance Insurance (Sinister Department and Litigation), and Port of Dakar (Legal Services and Operations Directorate). Finally, he also integrated Optima Consortium, a financial intermediation and advisory cabinet, where he was in charge of legal and human resources. During his career Mr. Niasse has been involved with organizations that promote the development of young people. He is a member of GYIN Senegal, where he held the position of deputy secretary general, before taking charge of the organization of the “I’m a GYINer campaign”. Mr. Niasse holds a Master in Business Law, Insurance and Bank option, and a Masters in Finance. It is the combination of his interest in the development of youth and his experience as an administrative and legal manager what makes him an important figure in Exeleadmen.